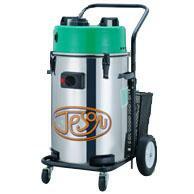 Industrial Wet / Dry Vacuum Cleaners(JS-107, JS-121, JS-150) - Chuan Fan Electric Co., Ltd. The fully new-designed separated cooling system of the best efficiency, guarantee of long-term running use. Low-noised, sturdy and closely woven filter bag preventing from dust leakage as pollution to the environment, the surface of filter bag is special treated for dust resistance, easy to be cleaned up. Special water-proof equipment ensures safe motor operation, anti-rust, moisture-proof and hight-weight stainless steel tank free of knock, for dry and wet use.